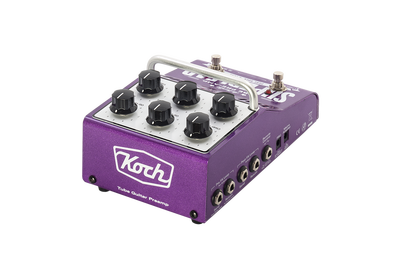 Koch's tube-powered guitar pre-amp with contemporary overdrive and boost, and maximum functionality! 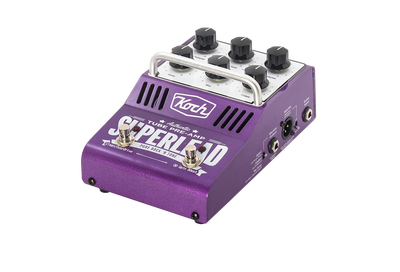 The Superlead guitar pre-amp is as much at home in your rehearsal room as it is in the studio or on stage. 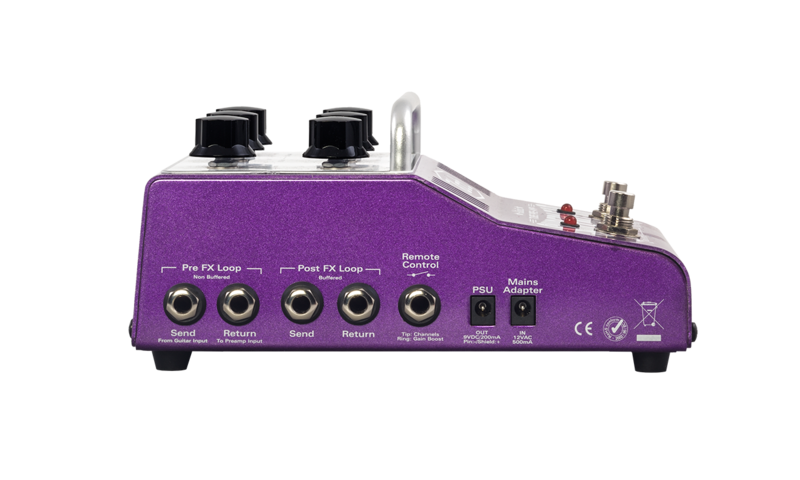 Whether used as a stand-alone pre-amp, or in conjunction with your pedalboard, your guitar signal can be routed to any amplification device, recording or mixing console as well as to any monitor system you use. The Superlead has two independent channels (Clean & Overdrive) which share a 3 band EQ, plus a Boost switch for high gain. 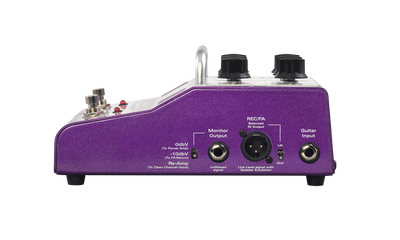 The Clean channel is focused on clarity and full frequency response to accurately reproduce your guitar's tone. 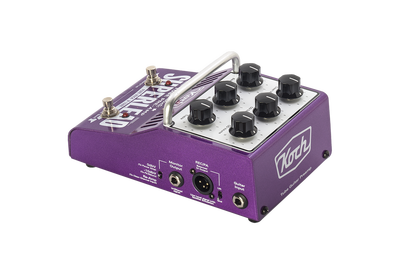 The Overdrive channel fattens that sound with a lush contemporary gain that can be stepped up to high gain with the Boost switch, for flat-out chunk or those singing leads with almost endless sustain... taking you from the pop world to hard-rock with a couple of silent switches. 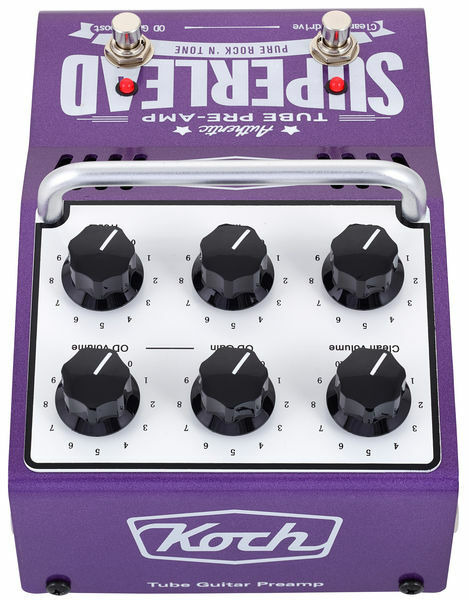 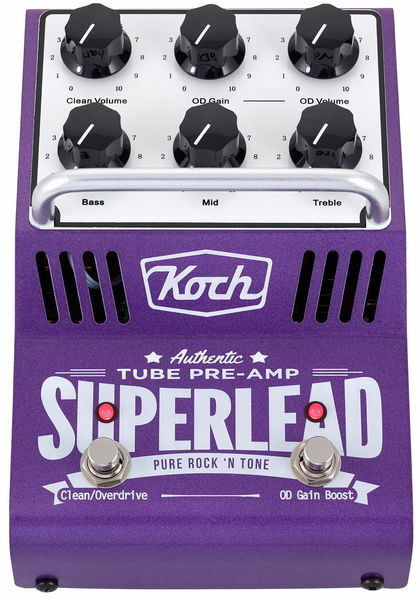 The Koch Superlead also features both pre and post FX loops for adding tone shaping pedals before the pre-amp, and modulating pedals after the pre-amp. 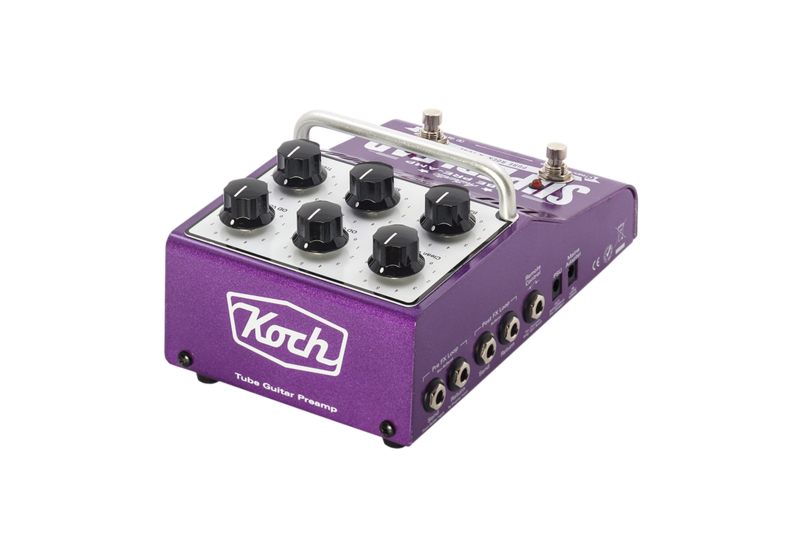 There is a 9VDC output that can power those additional pedals up to 200 mA, and is fully protected against short-circuiting. 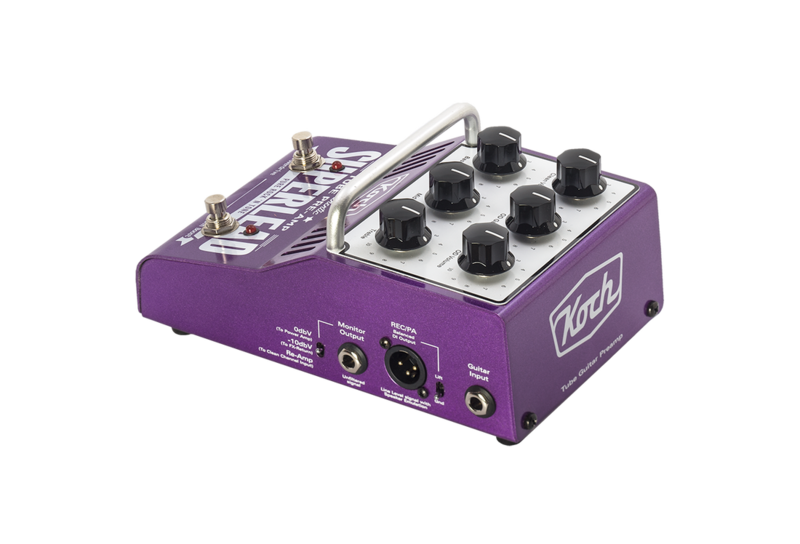 The remote control input can be used with midi switchers or other external switching devices. 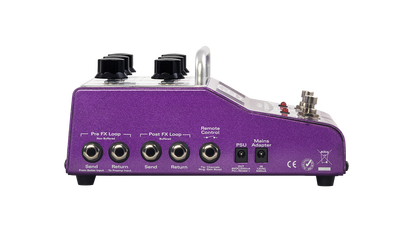 Finally, there is a balanced XLR DI output with line level signal, speaker-emulation and ground-lift for connection to recording or mixing consoles, and a 1/4" output with switchable levels for connection to any type of amp or monitor. Both outputs can be used simultaneously. The Koch Superlead is the perfect tube powered pre-amp for rehearsal, recording, touring and fly-ins where you need to take 'your sound' with you. 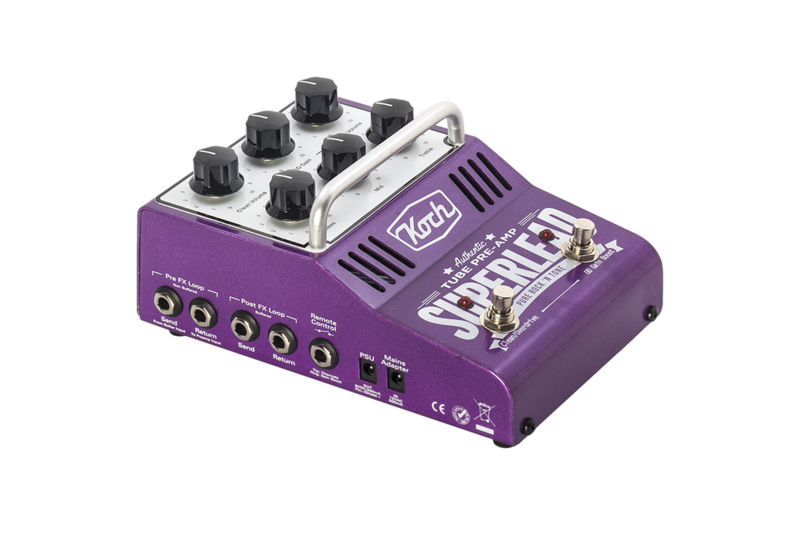 We use only the highest grade components for the best sound and reliability, plus we have housed the Superlead in a heavy duty, yet light weight aluminum housing.